By law, men begin to receive a retirement pension at sixty and women at fifty-five years. However, there are situations when a person has the right to retire early. To do this, including the need to write a special statement to the Pension Fund. the income statement for five years. Please specify whether you are one of the categories of people who have the right to go to early retirement. These include citizens who work in hazardous or very physically demanding production, as well as sailors, public transport drivers, pilots, rescue workers, certain categories of teachers, employees of penitentiary institutions and remand prisons, doctors, nurses, ballet dancers and a number of other professions. Also early retirement can get, regardless of profession, the mother of five or more children, people who has worked a long time in the far North and some disabled persons. The age at which you can retire early depends on the position and experience. This information can be obtained on the website of the Pension Fund. If you meet the requirements, submit the statement for appointment of pension. The procedure in this case is the same as when applying for the issue of pension in the regular period, will only have to Supplement the dossier with the documents confirming your right to early retirement - work book with information about your employment history, giving the right to this pension, birth certificate of children for mothers or conclusion of a medical examination of work capacity in case of early pension for persons with disabilities. 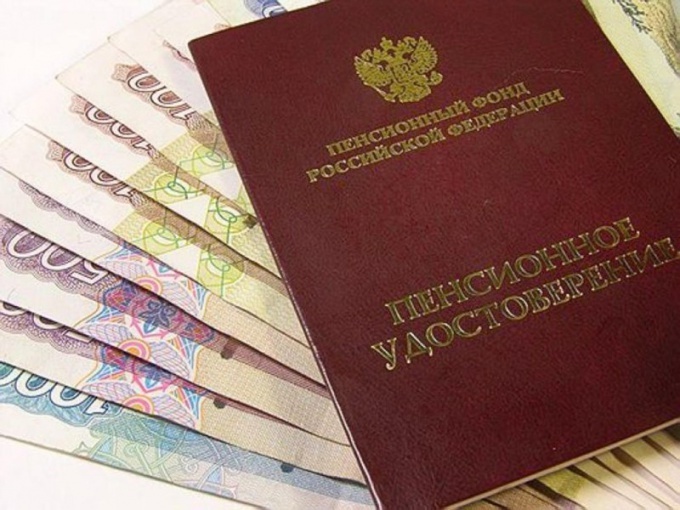 Contact with all the papers in the territorial Department of the Pension Fund of the Russian Federation at the place of registration or actual residence and write the application for the appointment you pensions. Your statement will be reviewed not more than ten days. If necessary, provide additional documents, which may require the Pension Fund. If all papers are in order, the pension you will accrue from the first day of the month in which you applied for the design.